SSCLJUTE-Natural-6P Number of Panels: 6, Finish: Natural Features: -Crafted from durable, lightweight Scandinavian spruce.-Using asian-style mortise & tenon joinery.-Made from strong, fiber-reinforced, pressed-pulp rice paper.-Strong, tightly-woven jute panels block light and provide complete privacy.-Lacquered brass, two-way hinges mean you can bend the panels in either direction.-Available with four, five or six panels.-Kickplate provides extra protection and added stability. Options: -Available in natural, honey, rosewood and black finishes. 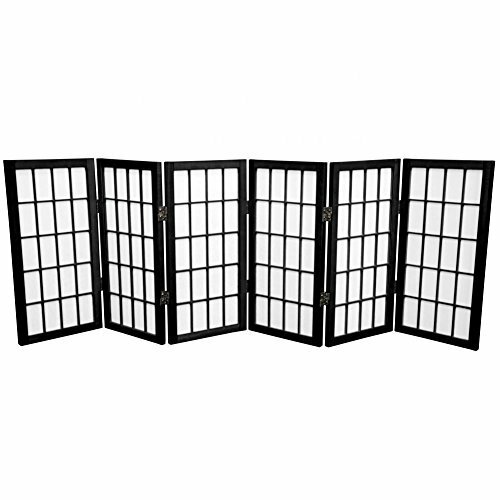 Dimensions: -Each panel measure approx. 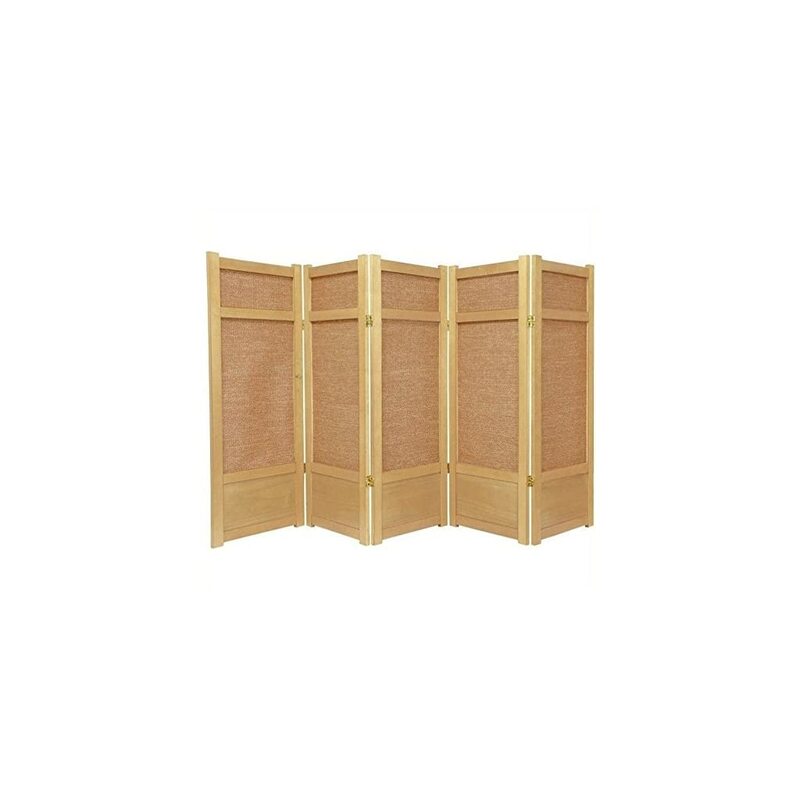 48” H x 17.5” W x .75” D.
SSMIYAGI-RWD-3_Panel Features: -Panel frames and lattice are crafted from durable, lightweight Scandinavian Spruce.-Lacquered brass, two-way hinges mean you can bend the panels in either direction.-3 Panels. Color/Finish: -Rosewood finish. 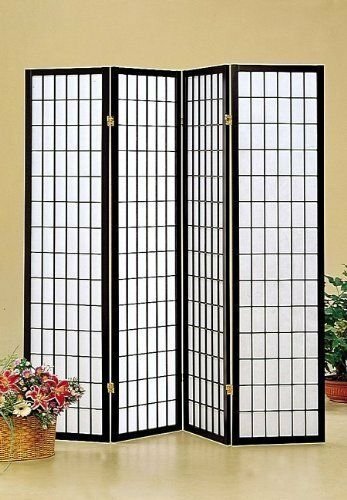 Dimensions: -Overall dimensions: 72” H x 53” W x .75” D.
Difficult to find in the USA, this extra tall 7 foot Window Pane Shoji room dividers have a kick plate to protect the shade from scuffs. 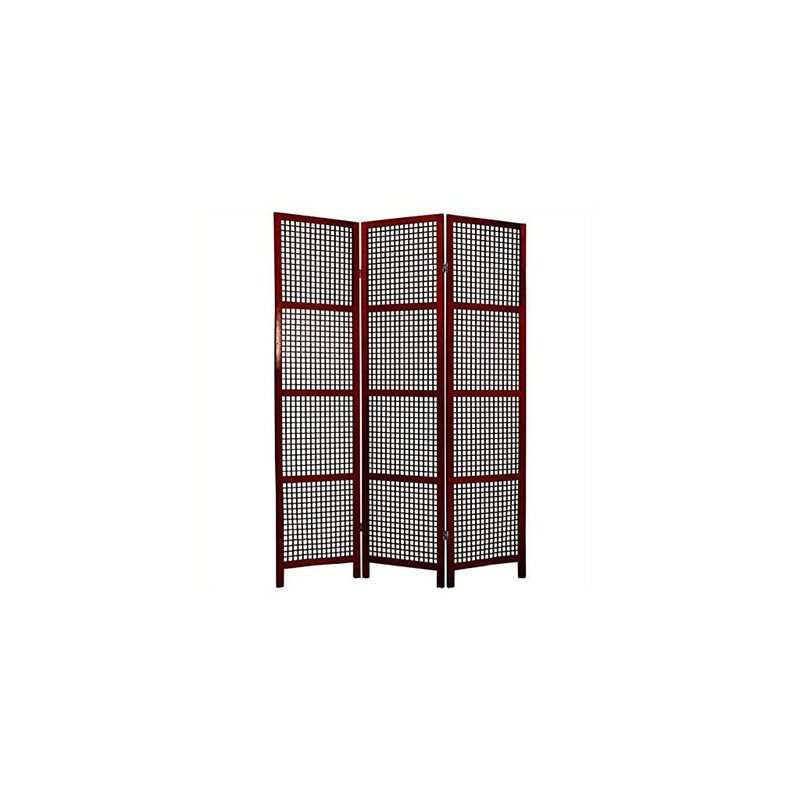 Great for rooms with high ceilings, for a more substantial feeling, or where greater privacy is preferred! Crafted from durable, lightweight Scandinavian Spruce, using Asian style mortise & tenon joinery. Shade is strong, tightly woven jute panels to block light and provide complete privacy. Lacquered brass, two way hinges mean you can bend the panels in either direction. Comes in black. Assembly level/degree of difficulty: No Assembly Required. WP48-NAT-3P Number of Panels: 3 Features: -Shoji screen. -Natural finish. -Available in 3, 4, 5 or 6 panels. 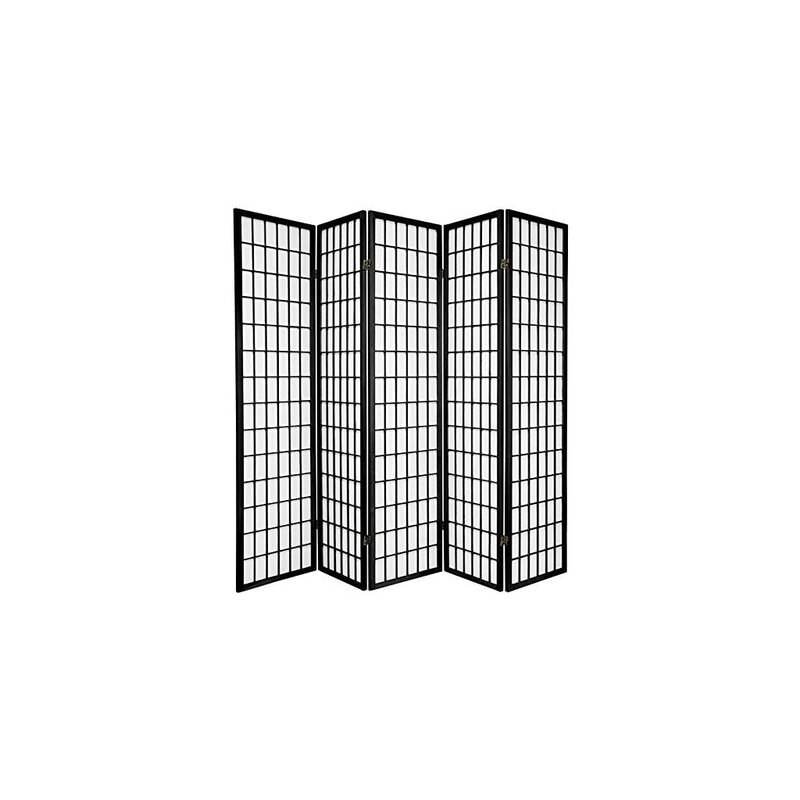 -Fiber reinforced strong shade. 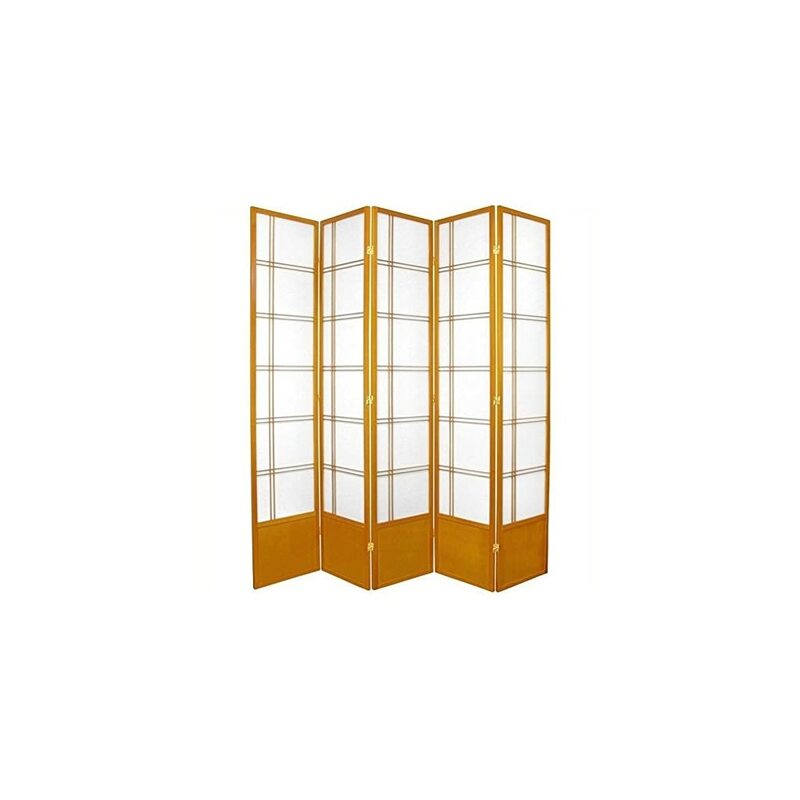 -Lacquered brass two way hinges allows them to stand upright freely without any bending. -Crafted from durable, lightweight Scandinavian spruce. 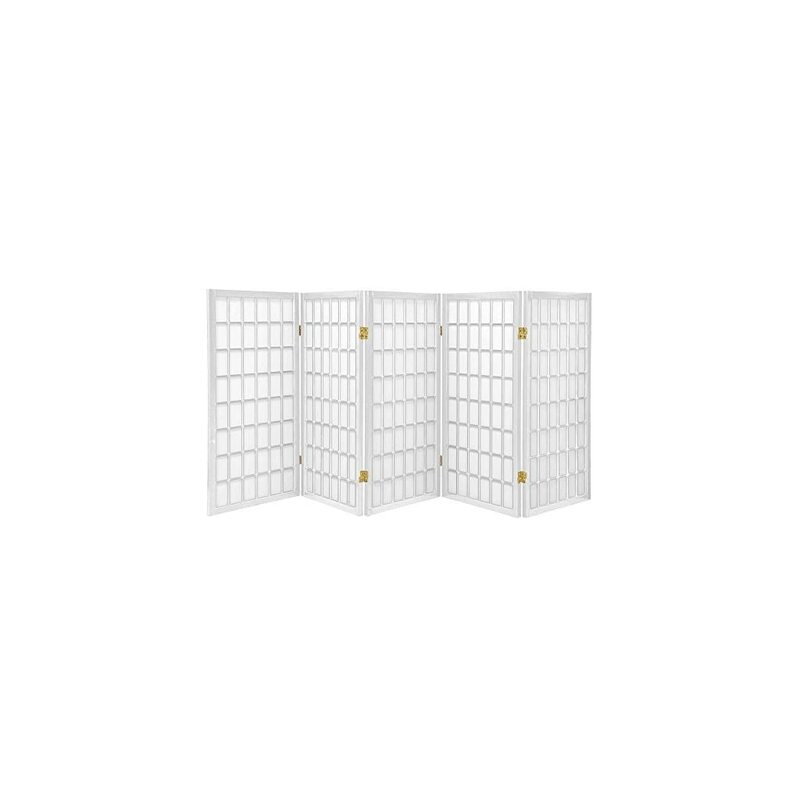 -Low height is perfect for hiding unsightly areas. 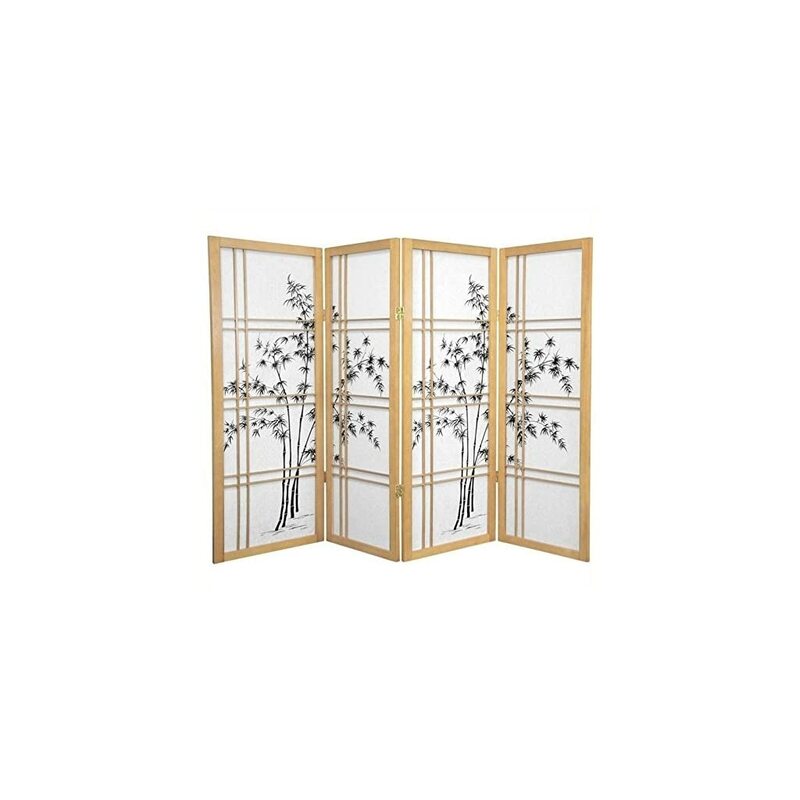 Our Samurai room dividers are one of perhaps two dozen image printed room dividers in our collection designed to appeal to men more than women. 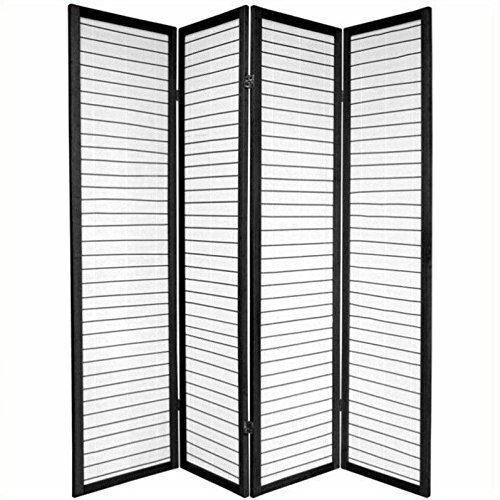 Although we only show the three panel version in the photo, we offer this screen in 3, 4, 5, & 6 panel versions, all with a classic black lacquer finish on the wood frame and lattice. 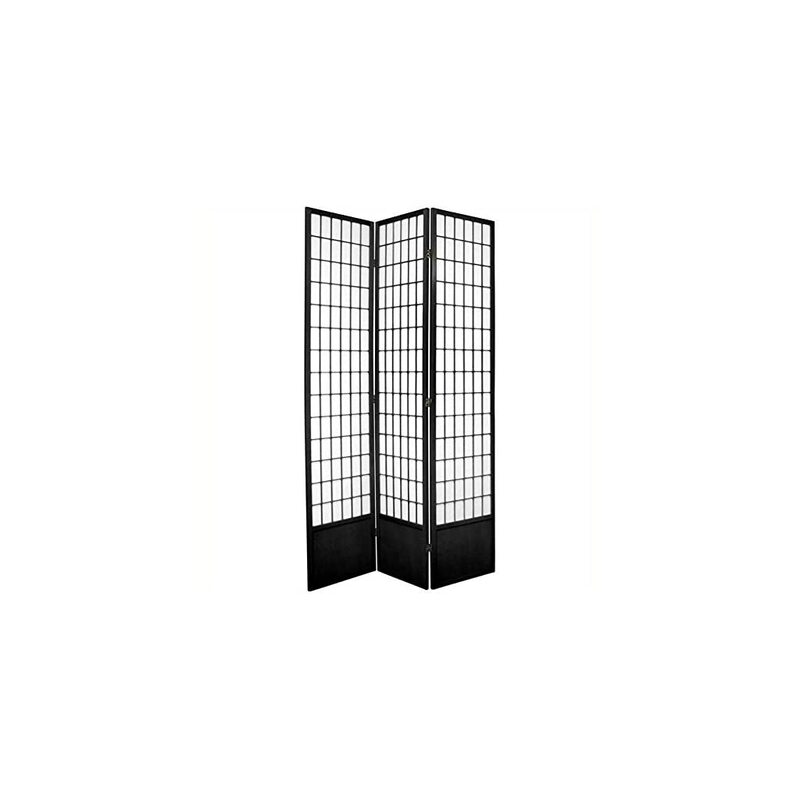 Note that the lattice and the image are on the front side only, so the lattice side is the most attractive from a decorative standpoint. Well crafted from hardy kiln dried Scandinavian Spruce, with fiber reinforced washi paper shade, this is lightweight, yet strong and durable decorative accessory. 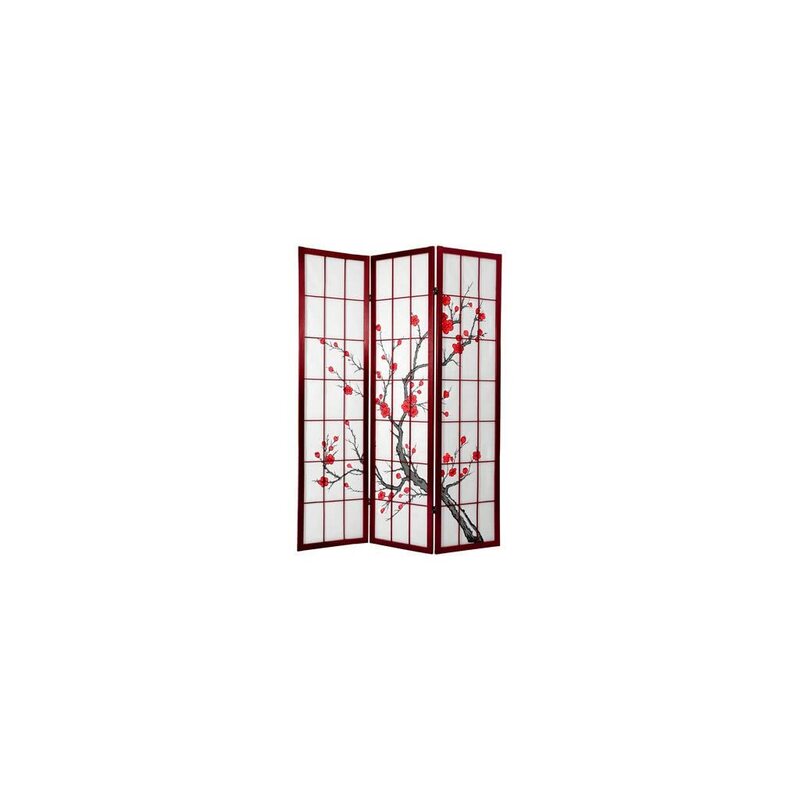 We offer many canvas covered screens with martial images on Amazon as well, browse our entire collection for male oriented artwork, as well as a vast selection of room dividers without art, in every conceivable size and design. 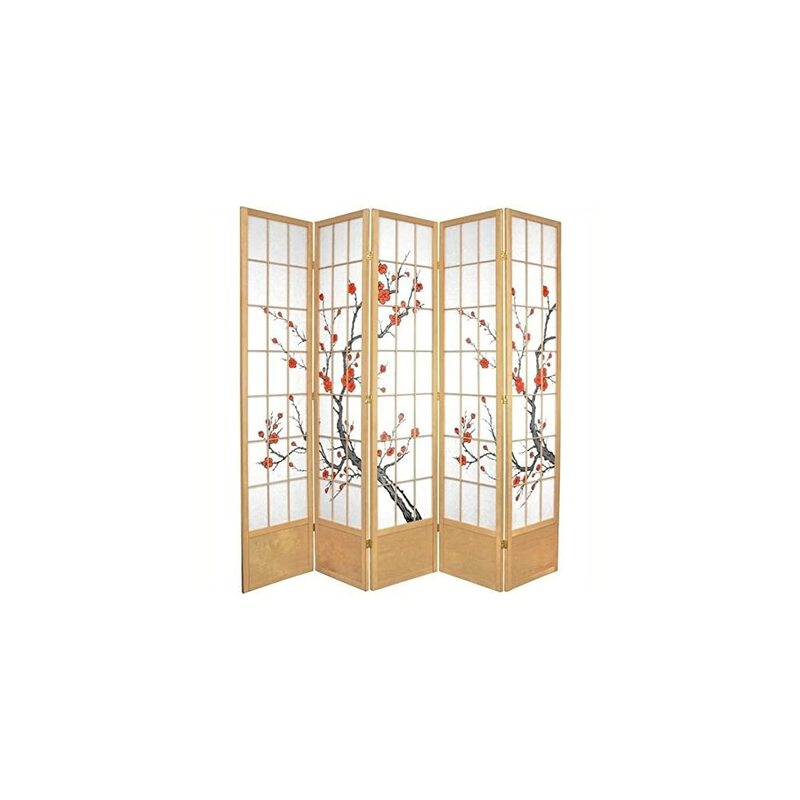 Note to we offer a large selection of Japanese & Chinese furnishings, lighting, art, and unique gift ideas, for him and for her, on Amazon.com. The new 2 ft. 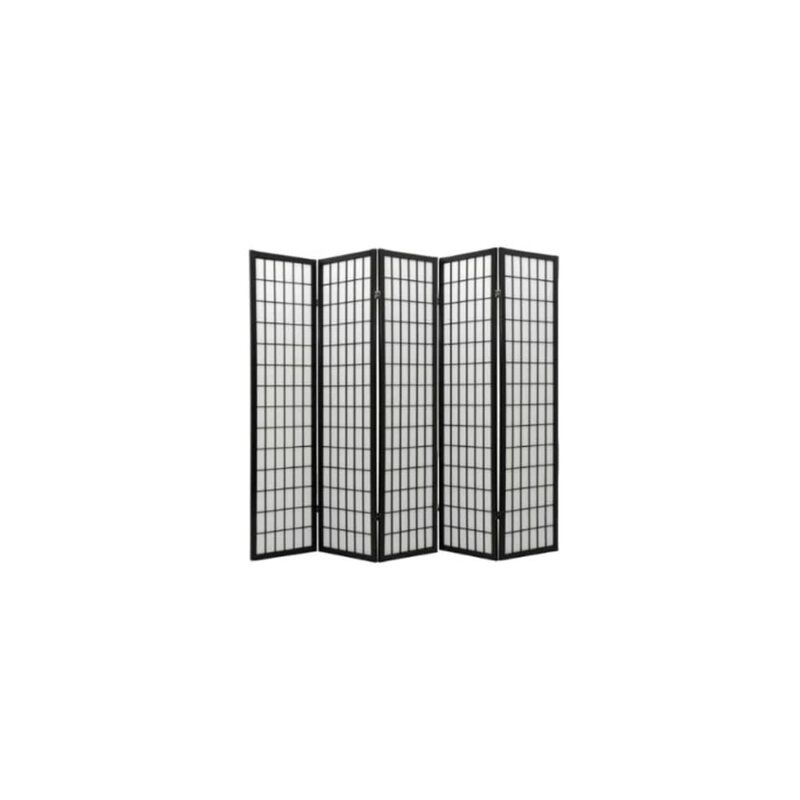 Tall Desktop Window Pane Shoji Screen 3-Panel is a miniature delight, perfect for hiding unsightly areas, desktops, modified window treatments, or for simply for adding a new design element to your space. 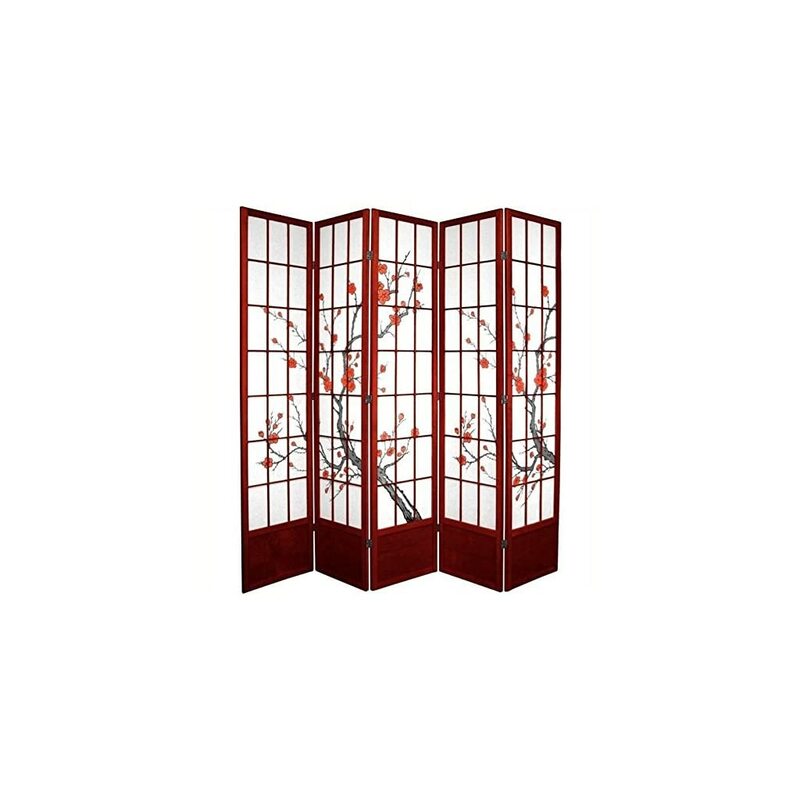 The Window Pane design is the most traditional of shoji screens and complements a variety of decors. Crafted from durable, lightweight Scandinavian Spruce, using Asian style mortise & tenon joinery. Shade is strong, fiber reinforced, pressed pulp rice paper – allows diffused light, and provides complete privacy. 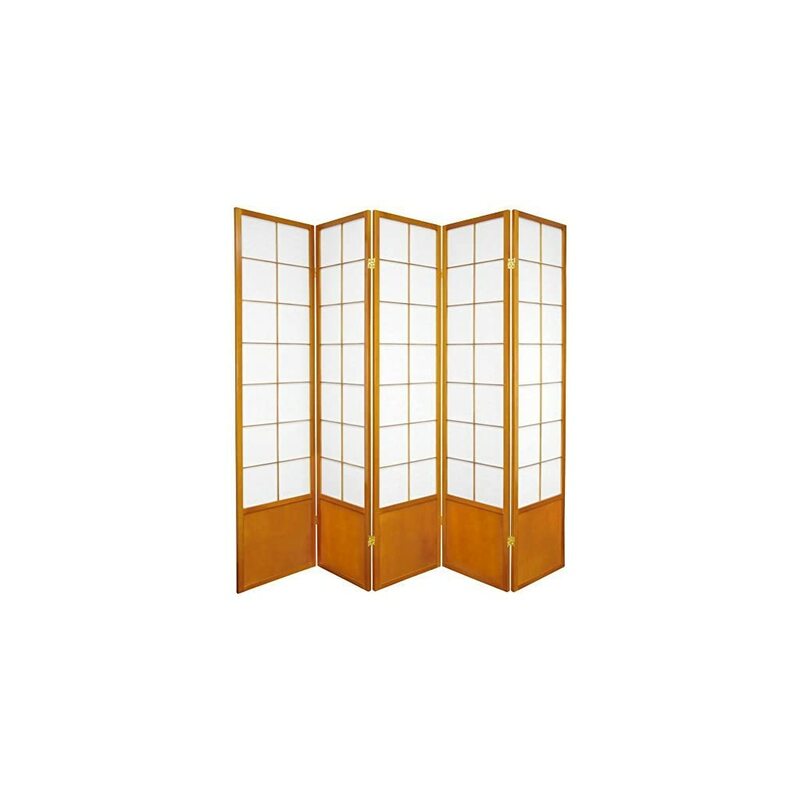 Lacquered brass, two way hinges mean you can bend the panels in either direction. Comes in white. Assembly level/degree of difficulty: Easy. 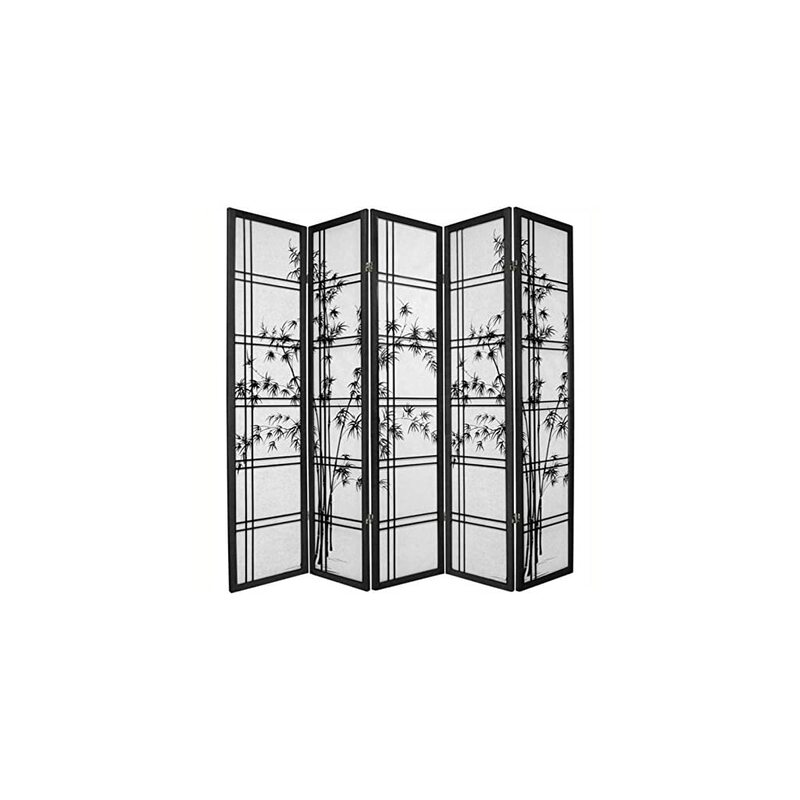 This black finish, Edo style large pane Kabuki Shoji Screen room divider features a pattern design of colorful kabuki actors in full costume! 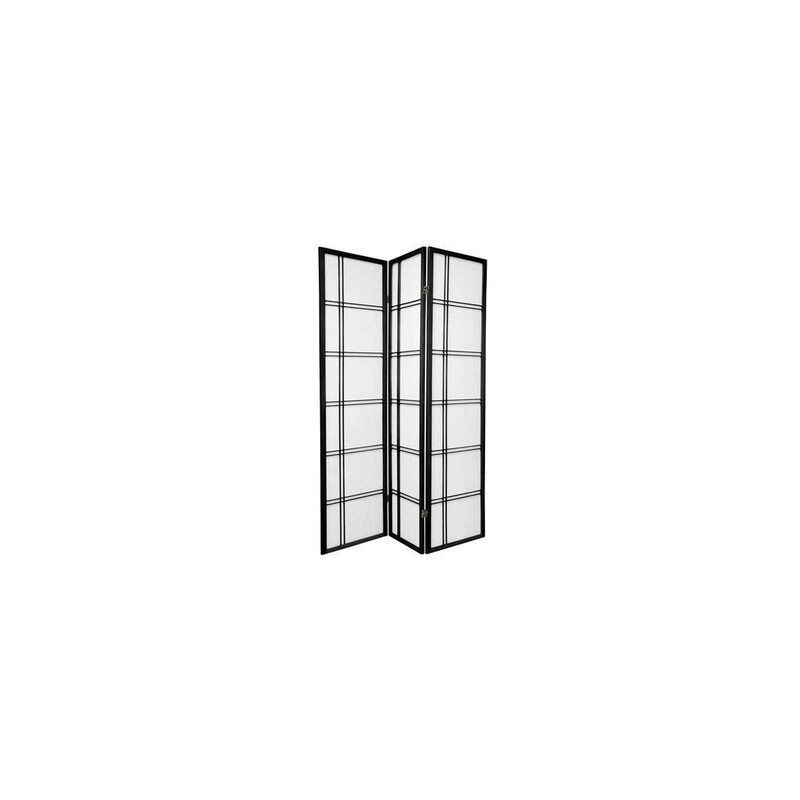 Display as an art screen, or to define space and provide privacy. Crafted from durable, lightweight Scandinavian Spruce, using Asian style mortise & tenon joinery. Shade is pattern dyed fabric stretched tight – allows very little light, and provides privacy. 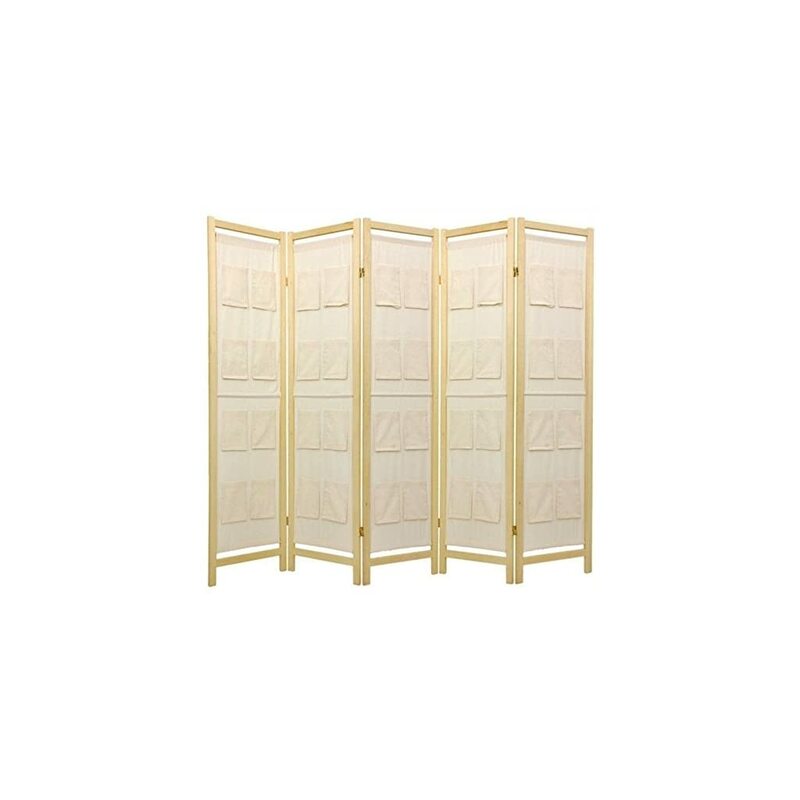 Lacquered brass, two- way hinges mean you can bend the panels in either direction. 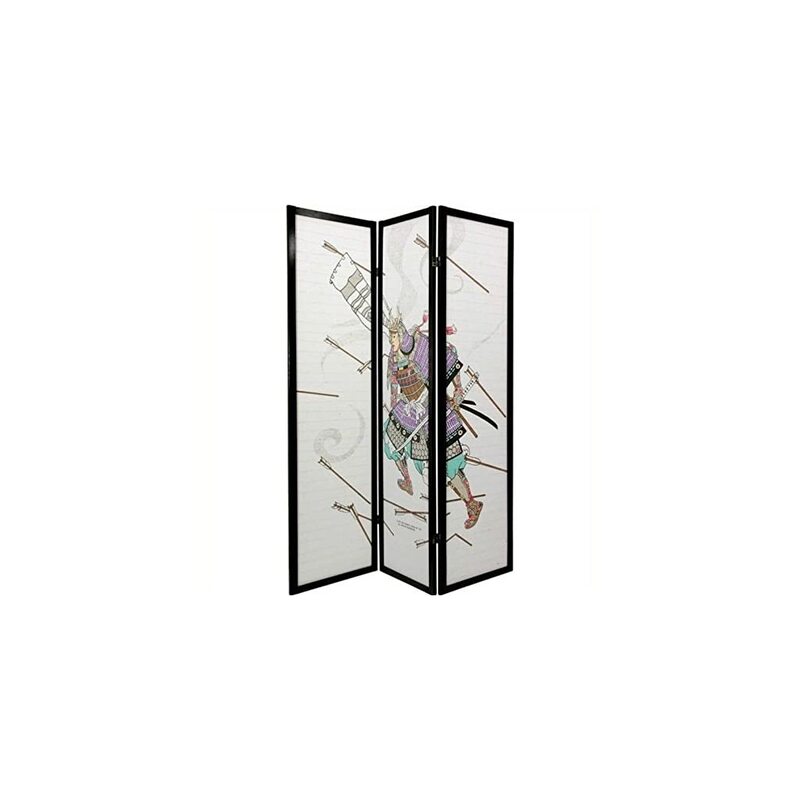 Display as an art screen, or use to define space and provide privacy. Assembly level/degree of difficulty: Easy. 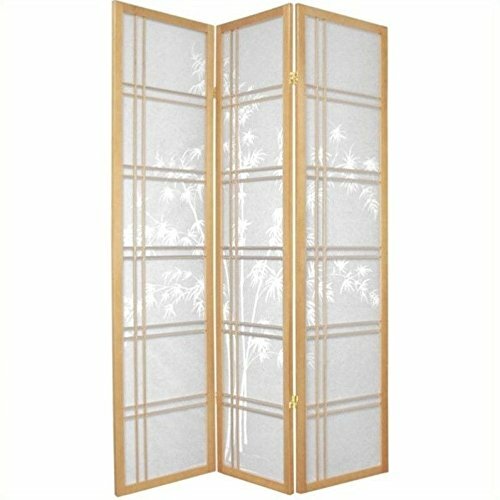 CBLSS-RWD Features: -3 Panel.-Crafted from durable, lightweight Spruce, using Asian style mortise and tendon joinery.-Shade is strong, fiber reinforced, pressed pulp rice paper- allows diffused light, yet provides complete privacy.-Lacquered brass, two- way hinges mean you can bend the panels in either direction. Color/Finish: -Rosewood finish. 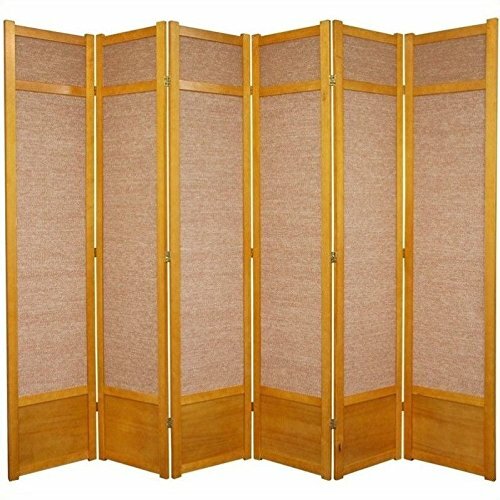 Dimensions: -Overall dimensions: 71” H x 51” W x 1” D.
SSCLDXBT-Natural-4P Number of Panels: 4, Finish: Natural Features: -Crafted from durable, lightweight Scandinavian spruce.-Using asian-style mortise & tenon joinery.-Made from strong, fiber-reinforced, pressed-pulp rice paper.-Allows diffused light in, yet provides complete privacy.-Lacquered brass, two-way hinges mean you can bend the panels in either direction.-Available with four, five or six panels.-The kickplate provides extra protection from scuffs plus added stability. Options: -Available in natural, honey, rosewood and black finishes. 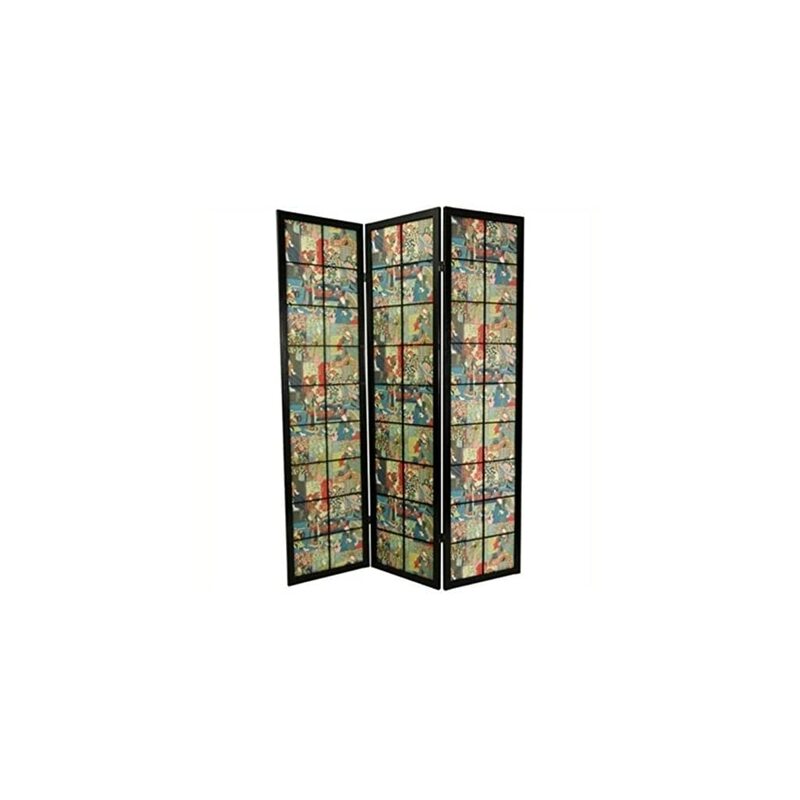 Dimensions: -Each panel measure approx. 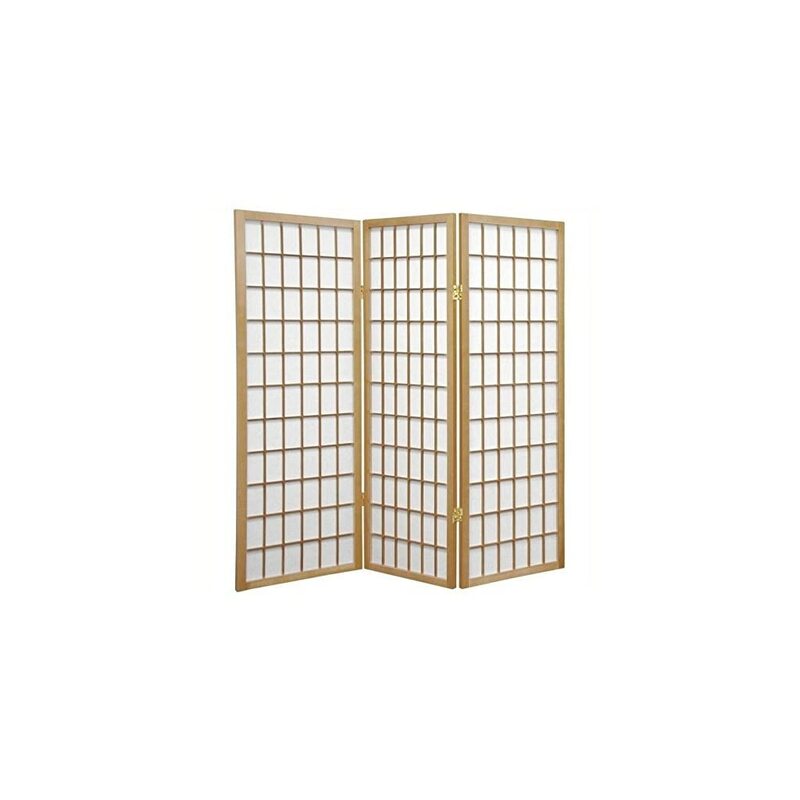 48” H x 17.5” W x .75” D.
SS-84CBLSS-Natural-5P Numbers of Panels: 5, Finish: Natural Features: -Crafted from durable, lightweight Scandinavian spruce.-Using asian-style mortise & tenon joinery.-Made from strong, fiber-reinforced, pressed-pulp rice paper.-Allows diffused light in, yet provides complete privacy.-Lacquered brass, two-way hinges mean you can bend the panels in either direction.-Available with three, four, five or six panels. Options: -Available in natural, honey, rosewood or black finishes. 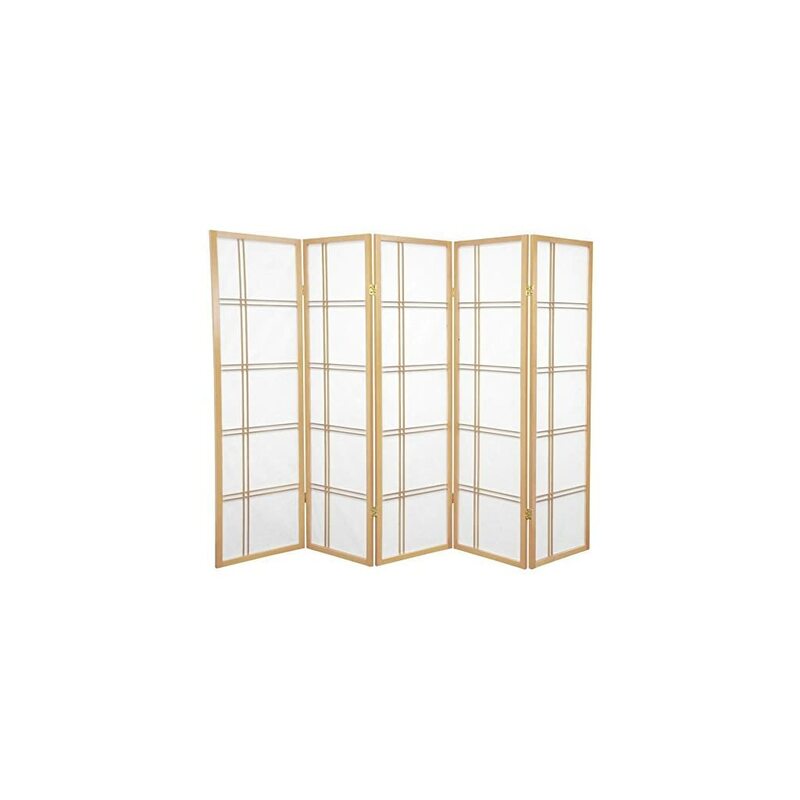 Dimensions: -Each panel measure approx. 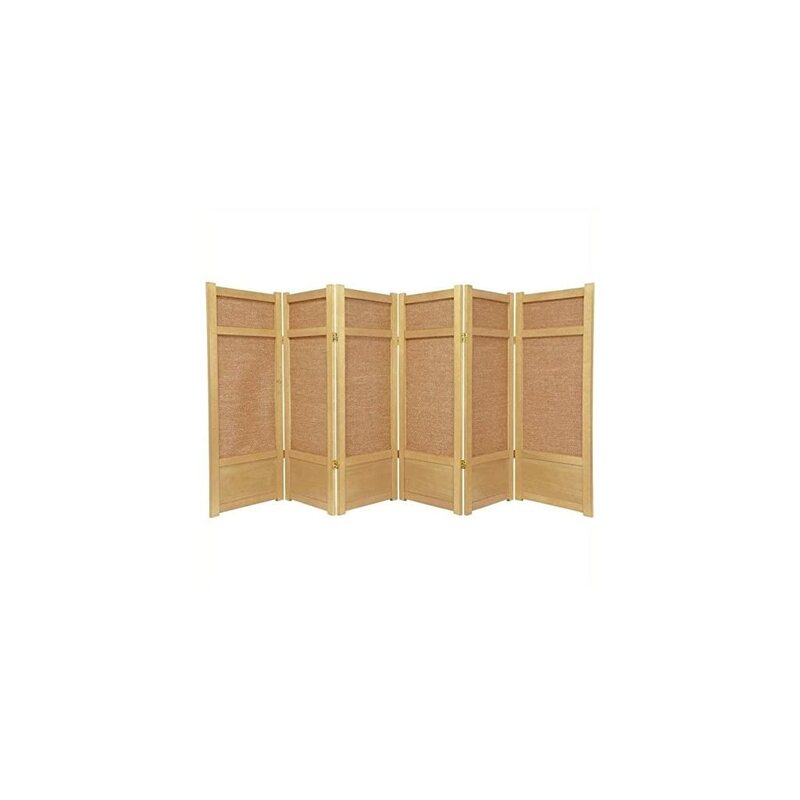 84” H x 17.5” W x .75” D.
SSCLJUTE-Honey-5P Number of Panels: 5, Finish: Honey Features: -Crafted from durable, lightweight Scandinavian spruce.-Using asian-style mortise & tenon joinery.-Made from strong, fiber-reinforced, pressed-pulp rice paper.-Strong, tightly-woven jute panels block light and provide complete privacy.-Lacquered brass, two-way hinges mean you can bend the panels in either direction.-Available with four, five or six panels.-Kickplate provides extra protection and added stability. Options: -Available in natural, honey, rosewood and black finishes. 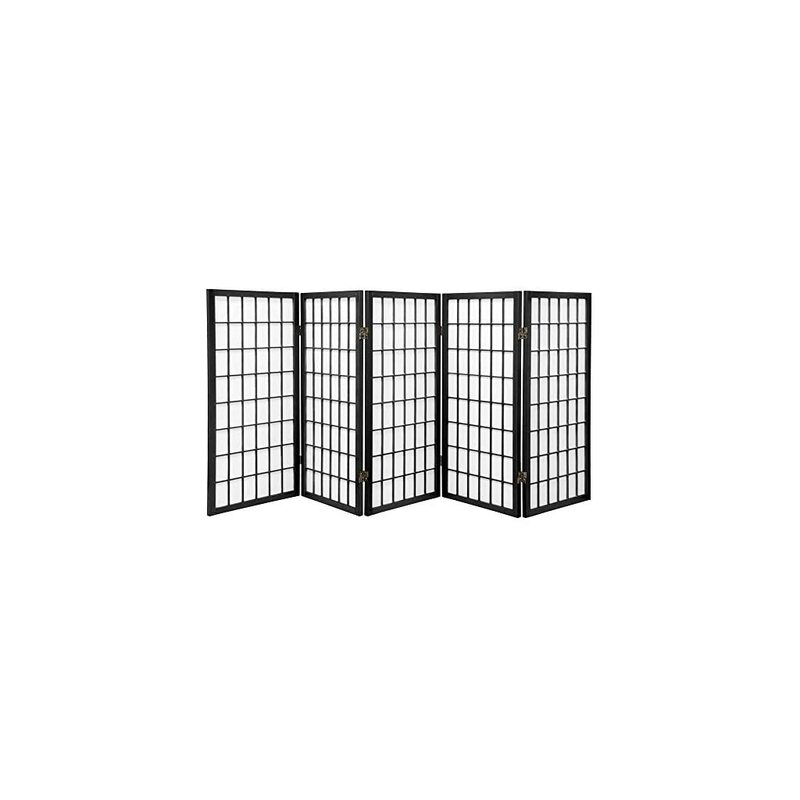 Dimensions: -Each panel measure approx. 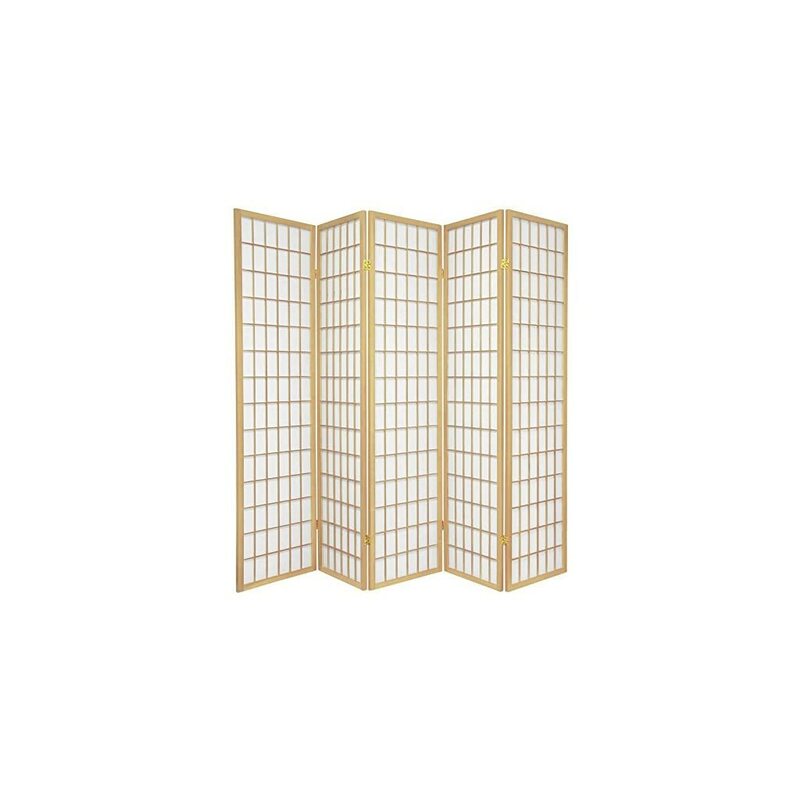 48” H x 17.5” W x .75” D.
SSCDXBT-5_panel-Black Number of Panels: 5 Pannels Features: -Double hinged with rice paper panels.-Lacquered brass, two-way hinges mean you can bend the panels in either direction. Construction: -Frame constructed of spruce. Color/Finish: -Check out the other 3 finishes with this same design: Honey, Natural, and Rosewood. 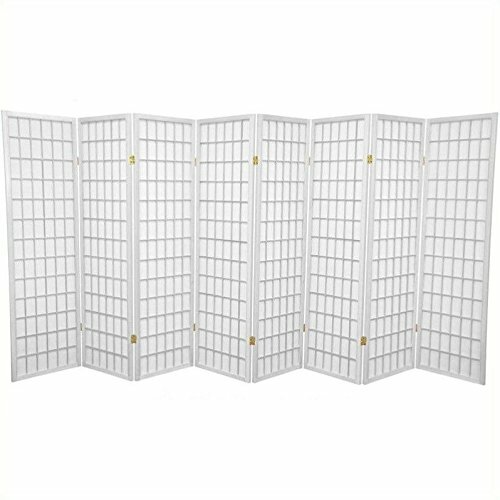 Specifications: -Each panel measures approx. 72 H x 17 W x D.
SSCLJUTE-Natural-5P Number of Panels: 5, Finish: Natural Features: -Crafted from durable, lightweight Scandinavian spruce.-Using asian-style mortise & tenon joinery.-Made from strong, fiber-reinforced, pressed-pulp rice paper.-Strong, tightly-woven jute panels block light and provide complete privacy.-Lacquered brass, two-way hinges mean you can bend the panels in either direction.-Available with four, five or six panels.-Kickplate provides extra protection and added stability. Options: -Available in natural, honey, rosewood and black finishes. 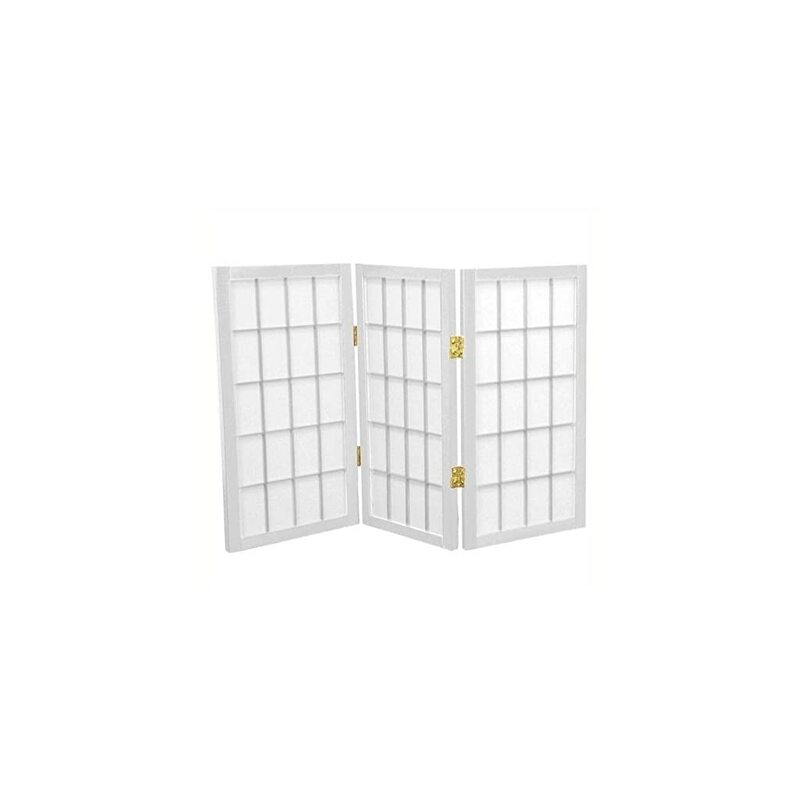 Dimensions: -Each panel measure approx. 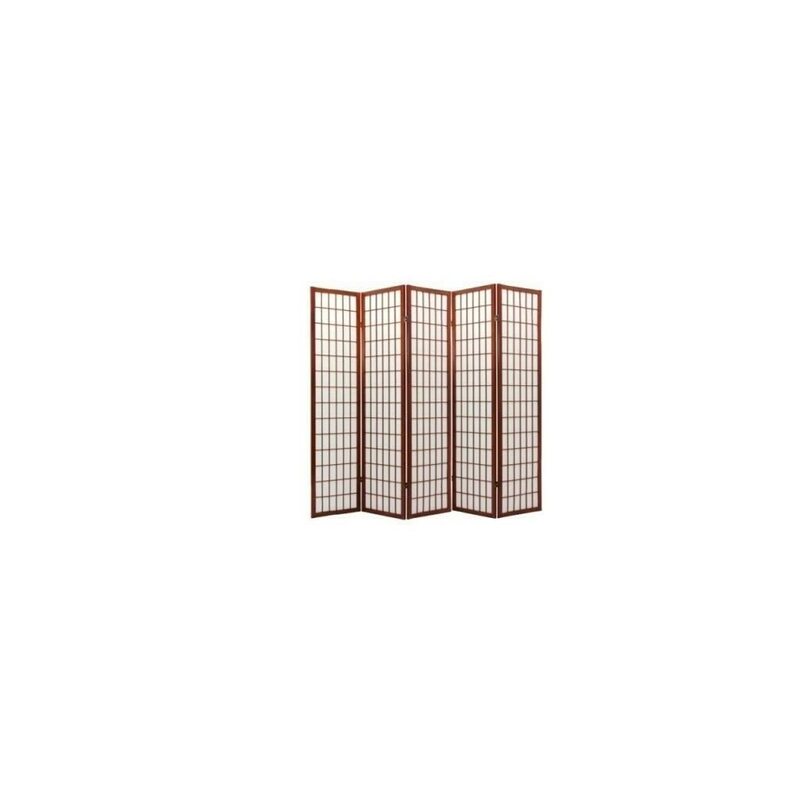 48” H x 17.5” W x .75” D.
SS-84CBLSS-Rosewood-5P Numbers of Panels: 5, Finish: Rosewood Features: -Crafted from durable, lightweight Scandinavian spruce.-Using asian-style mortise & tenon joinery.-Made from strong, fiber-reinforced, pressed-pulp rice paper.-Allows diffused light in, yet provides complete privacy.-Lacquered brass, two-way hinges mean you can bend the panels in either direction.-Available with three, four, five or six panels. Options: -Available in natural, honey, rosewood or black finishes. 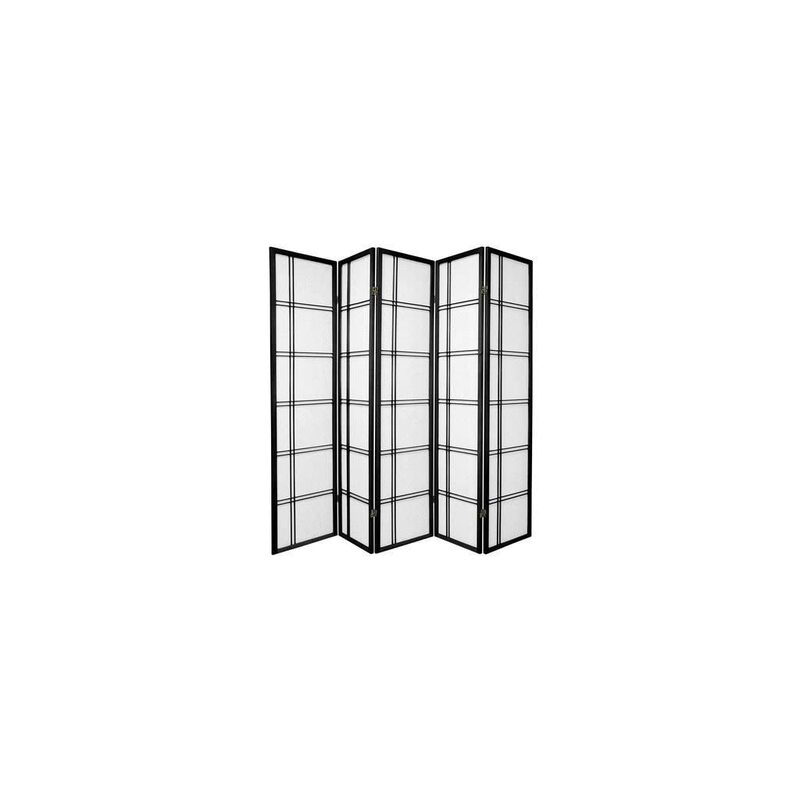 Dimensions: -Each panel measure approx. 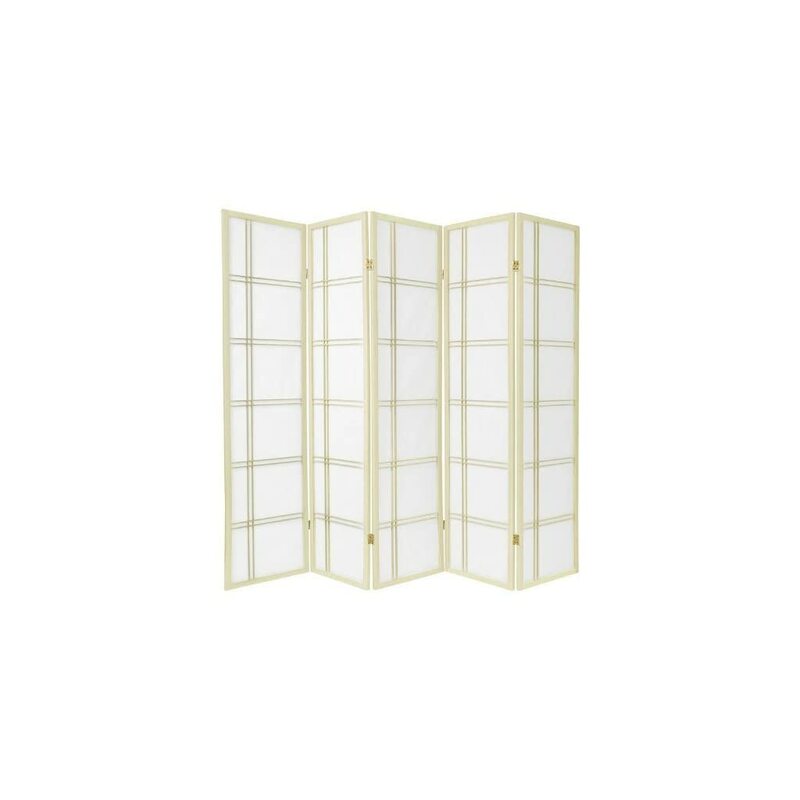 84” H x 17.5” W x .75” D.
SS-84-DC-Honey-5_Panel Number of Panels: 5 Features: -Available with 3, 4, 5 or 6 panels.-Double-hinged with rice paper panels.-Lacquered brass, two-way hinges allow you to bend the panels in either direction. Construction: -Frame constructed of Scandinavian spruce. Color/Finish: -Honey finish. 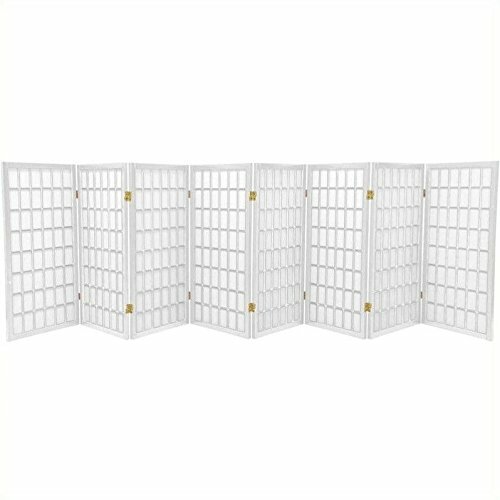 Specifications: -Each panel measures approx. 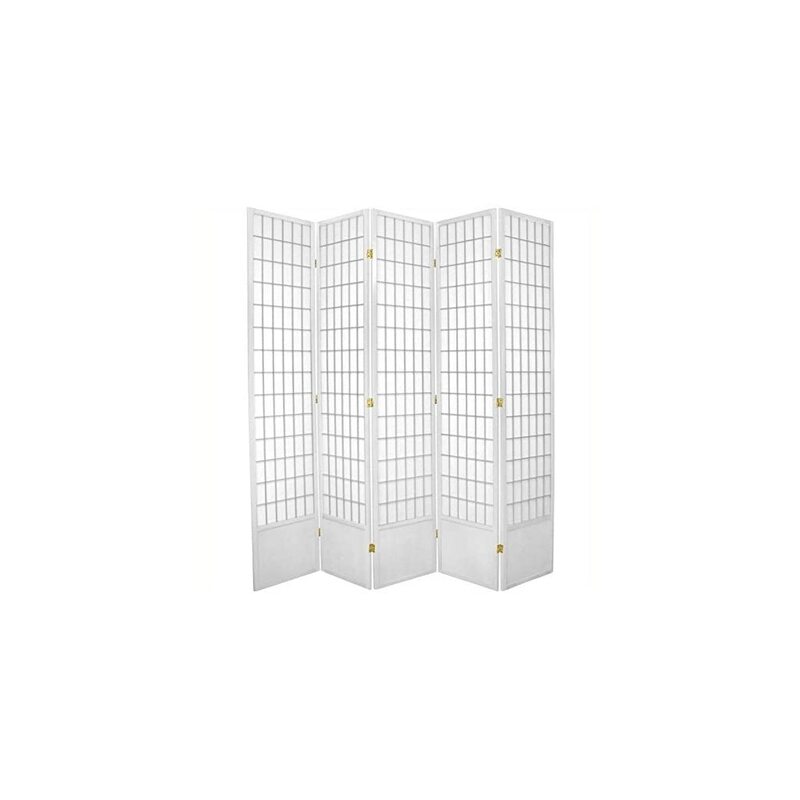 84 H x 17 W.
SS-84WP-White-5_Panel Number of Panels: 5 Features: -Screen.-Available in 3, 4, 5 or 6 panels.-Kick plate at the bottom to protect the shade from scuffs.-Crafted from durable, lightweight Scandinavian Spruce, using Asian style mortise and tenon joinery.-Two way hinges mean you can bend the panels in either direction.-Stand upright freely without any bending. Color/Finish: -White finish. 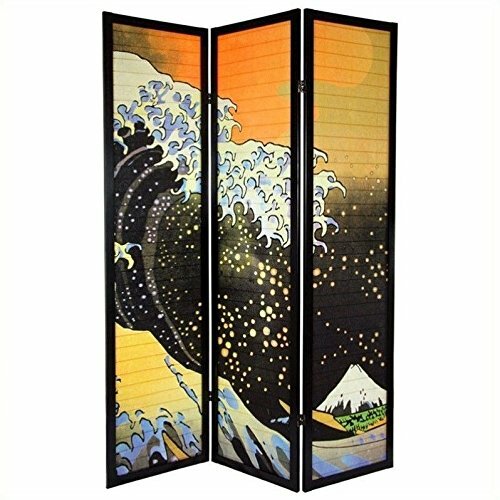 SS-WAVE-3P Features: -Material: Wood.-3 Panel.-“The Great Wave off Kanagawa” design. 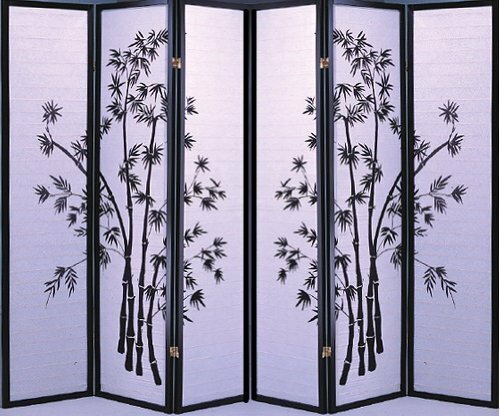 Dimensions: -Overall dimensions: 70.75” H x 17.5” W x 1” D.
SSCMSRP-Black-4_panel Number of Panels: 4 Pannels Features: -Crafted from durable, lightweight Raminwood, using Asian style mortise & tenon joinery.-Shade is strong, fiber reinforced, pressed pulp rice paper.-Allows diffused light, yet provides complete privacy.-Lacquered brass, two- way hinges mean you can bend the panels in either direction. 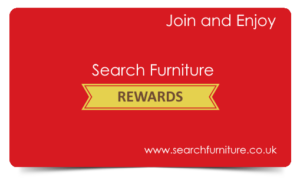 Color/Finish: -Check out the other 2 finishes with this design: Natural and Rosewood. Specifications: -Each panel measures approx 71 H x 17 W x 1 D.
SS-84JUTE-Honey-6P Number of Panels: 6, Finish: Honey Features: -Crafted from durable, lightweight Scandinavian spruce.-Using asian-style mortise & tenon joinery.-Made from strong, fiber-reinforced, pressed-pulp rice paper.-Strong, tightly-woven jute panels block light and provide complete privacy.-Lacquered brass, two-way hinges mean you can bend the panels in either direction.-Available with three, four, five or six panels. Options: -Available in natural, honey, rosewood and black finishes. 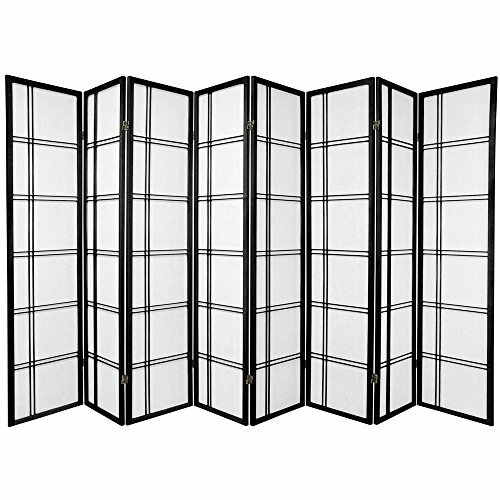 Dimensions: -Each panel measure approx. 84” H x 17.5” W x .75” D.